This old blog hasn't had much on it lately, I'm sorry to say! 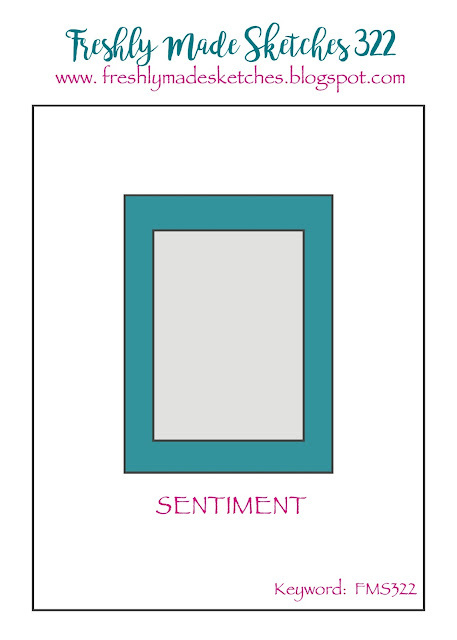 I'm just not feeling it at the moment and making a card has been hard work for the last few months. I'm hoping my mojo comes back soon, because I want to enjoy this hobby again! In the meantime, I'm keeping my hand in with my DT commitments and today it's the turn of Freshly Made Sketches, where Cecile has a very versatile sketch for us. 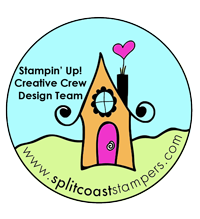 I used the Rectangle Peek-a-Boo die for the "frame" part of the sketch and created a shaker for the centre part. On a white card base, I masked off the edges and blended some Distress Oxide inks into the centre, before dropping on some Perfect Pearls mist. I then set that aside and went to work on the top panel. First, I die-cut the rectangle opening and also the stitched edges. The "baby" is from a Ranger Letter-It set and I double-embosed it with Denim EP onto a white panel. The "welcome" is from a PTI set and I white embossed that onto a strip of black cardstock. I added acetate behind the window and then foam tape all around. I dropped some sequins onto the card base then added the front panel and called it done! Thanks so much for visiting! The design team have some wonderful cards using this sketch, so I hope you go check them out. 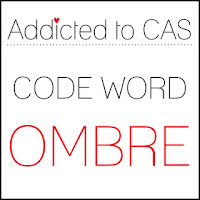 And, thanks to my friend Barb for reminding me, I'm adding this to the gallery at Addicted to CAS who are looking for ombre this challenge. Karren, we all need to give our creative brain a time-out! You've made a beautiful card today, Baby! I love how you made a shaker card with this sketch! And that background in the shaker is gorgeous. I never would have guessed that you've been struggling creatively lately. I hope it soon becomes fun again for you! Hang in there! Sometimes life just shifts us around a little. It's all good to take a break. I took all of last summer off and I don't regret it at all! Your baby shaker is darling! I like making baby cards too, but now I have so many because I need so few! Oh wow! This is just perfect for a baby card! I love the background and that stitched frame! Gorgeous! Plus that giant sentiment! So fun! What a fun Shaker Card to celebrate a new baby! Perfect shaker card for the new baby. Beautiful Ombre background! Thanks for sharing at ATCAS! This was one of my favorites for this challenge. Such great colors! 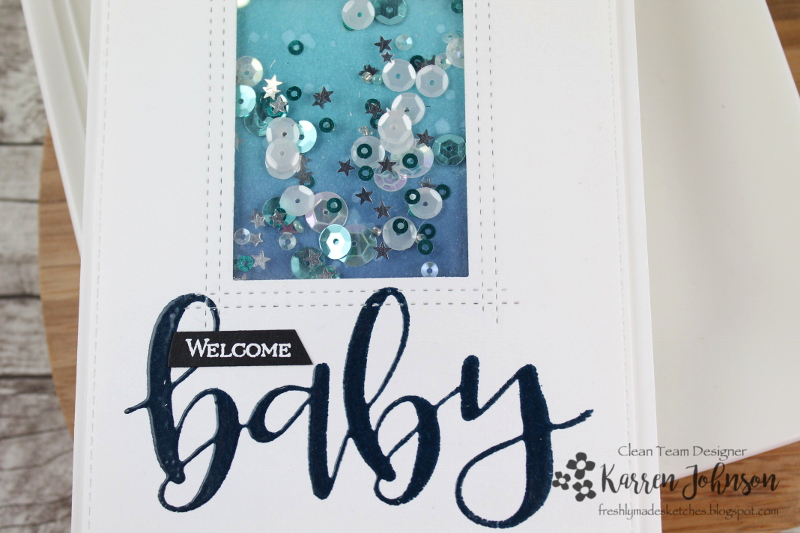 I'm totally in love with your Baby Card, Karren! It's both simple and brilliant! And so elegant too! I do love a good shaker card so it's a no-brainer that I love this! I think I might have to CASE this because I'm in need of some baby cards!